How much work can you do on an iPhone? Editor’s Note: This article is reprinted from InfoWorld. For more IT news, subscribe to the InfoWorld Daily newsletter. 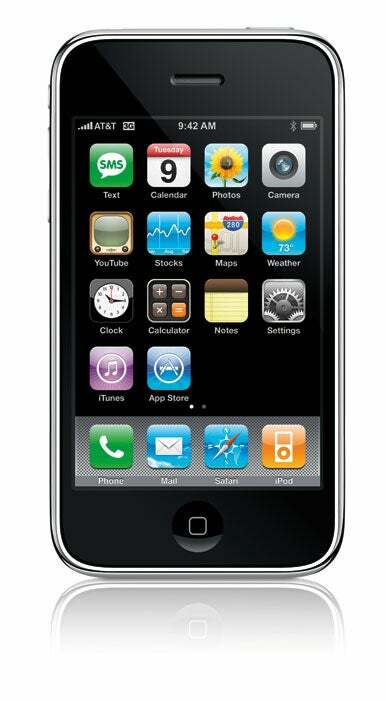 The new iPhone 3.0 OS is now old news, but does its enhancements overcome any advantages that the BlackBerry has over the iPhone? In May, I pitted the BlackBerry Bold in a head-to-head competition against the iPhone 3G, which handily beat RIM’s business standard in most areas. After all, the iPhone 3.0 OS enhances the e-mail, calendar, and search functions that many BlackBerry users focus on and that IT loves about the BlackBerry Enterprise Server (BES). Check out the slideshow Rematch: BlackBerry vs. iPhone, side by side. I didn’t grow up in my corporate life with either an iPhone or a BlackBerry. For me, a phone is something to make calls with, and a PDA handles my contacts and calendar. But a year ago, I replaced my nearly dead Handspring Palm-based PDA with an iPod Touch and quickly grasped the significance of the “modern” PDA —the importance, from both a personal and a professional point of view, of having the Web, e-mail, and more at my fingertips. To me the iPod touch, and by extension the iPhone, was about as productive as a PDA could be, yet I saw BlackBerrys everywhere in conferences and business meetings. What was it about the BlackBerry that I was missing? Would the iPhone really fall short in a business setting? And how do they stack up? Frankly, I’ve concluded it’s time to bury the BlackBerry. A revolution in its time, thanks to its ability to provide instant, secure e-mail anywhere, the BlackBerry has become the Lotus Notes of the mobile world: It’s way past its prime. I was shocked to discover how bad an e-mail client the BlackBerry is compared to the iPhone. And the BlackBerry is terrible at the rest of what the iPhone excels at: being a phone, a Web browser, an applications platform, and a media presenter. With its Windows 3-like UI, tiny screen, patched-together information structure, and two-handed operation, the BlackBerry is a Pinto in an era of Priuses. Get the scoop on the new iPhone OS 3.0. Let me show you point by point why most people— most companies—should retire their BlackBerrys and adopt iPhones. And why some of you sadly cannot. Note that both devices are available only on AT&T’s network, whose coverage and reliability is mediocre on much of the East and West Coasts, a drawback that really hit home when I lost data coverage in lower Manhattan for several hours as AT&T passed me off to roaming partner T-Mobile and its data-less service. I fully expected the BlackBerry to beat the pants off the iPhone when it came to e-mail. So I was shocked by how awkward e-mail is on the BlackBerry. In both cases, I used a personal POP account and a work Exchange 2003 account. The iPhone works directly with Exchange, so my e-mail, e-mail folders, calendars, and contacts all flowed effortlessly among the iPhone, laptop, and server. The configuration was trivial. For the BlackBerry, I first used the BlackBerry Internet Service (BIS), which acts like a POP server: You can’t access your Exchange folders, contacts, or calendars. And man, is the setup painful, as you step through seemingly countless Web-based configuration screens. After struggling with the limitations of BIS, I asked our IT staff to connect me to our BlackBerry Enterprise Server (BES) instead, which gave me the connections to folders, contacts, and calendars. It’s key to note that BES supports Novell GroupWise and Lotus Notes, while both of those servers support the iPhone only through Web clients, limiting their integration with other iPhone apps such as Contacts and Calendar. (IBM says it will soon add ActiveSync support to Notes, which will then let it have a native iPhone client at some point.) Thus, BlackBerry supports more e-mail systems, even though you have to add a dedicated server to get that support (and upgrade to the latest version to support app management). But an iPhone is much easier to use with Exchange than a BlackBerry is—at least as a user. Apple uses Exchange Server 2007 for remote iPhone management: remote kill, configuration, and so on. Apple also provides a free app that lets IT admins manage profiles and internally developed iPhone apps on the devices. The hitch is that the management tool can reach the devices only when they are physically tethered to the admins’ computers. My first struggle with the BlackBerry involved its puzzling timestamping of e-mail messages. Oddly, the BlackBerry lists the messages according to when the device receives them, not when they are sent. (If you open the message, you can see the real date and time.) The first time I told the BlackBerry to “reconcile messages” with the server, so I’d have older messages (past my 30-day setting) available to me, in they flooded — all stamped with the current date and time, burying my new messages. Each time I got off a plane or turned the BlackBerry on after charging it, all the messages received during those disconnected times would be marked as more recent than the messages I got right after I turned the BlackBerry back on. It makes e-mail management a nightmare. The second frustration was discovering how hard it is to navigate e-mail. I use folders extensively to manage my messages, and the iPhone makes it very easy to navigate among folders. The BlackBerry lets you navigate down but not up, so it’s hard to flip from any one folder to another. And on the BlackBerry, the original message stayed in the top-level inbox, so now the message existed in two places: my too-cluttered inbox and in the folder to which I moved the message from my computer. Fortunately, there is a preference to turn that dual message location off; too bad it’s not the default. Reading e-mail was comparable on both devices, though the iPhone’s larger screen requires less scrolling. I prefer the iPhone’s on-screen controls for replying, forwarding, and so forth over the BlackBerry’s use of its button to open a contextual menu, but that’s an acceptable UI-based difference. Still, the BlackBerry’s menu is too long and requires too much scrolling for common functions. It’s easier to delete messages on an iPhone, both in the list and when reading a message, than on the BlackBerry. The culprit is the BlackBerry’s reliance on the step-intensive contextual menu for almost everything you do. And while you can press the Backspace button to delete mail, you still have to contend with the menu to confirm the deletion. The BlackBerry and iPhone are mixed bags when it comes to navigating messages. Both the BlackBerry and iPhone offer a quick way to jump to the top of your message list, but only the BlackBerry has a way to jump to the bottom. The iPhone makes it very easy to select multiple messages to delete or move them, while the BlackBerry can only multiple-select contiguous messages, which in practice means you can’t work on many messages at once. There is a workaround for some situations: You can search your messages by name, subject, title, or attachment status, then select those files—still contiguously—to work on them. The iPhone 3.0 OS wipes out a former BlackBerry advantage: the ability to search e-mails, both within the e-mail app (like the BlackBerry) and as part of a device-wide search (something the BlackBerry can’t do). But the BlackBerry does let you sort your messages, such as by name or status, which the iPhone can’t. Both the BlackBerry and iPhone let you view common attachment formats such as Word, Excel, and PDF. But the iPhone can’t handled zipped attachments, while the BlackBerry nicely shows you a list of the contents so that you can open the ones you want. With both the iPhone and BlackBerry, you can add people who e-mail you as contacts, but the BlackBerry unnecessarily complicates the process. If it can’t figure out the person’s name, it forces you to enter that before it will save the contact. The iPhone, on the other hand, lets you fill in that information at another time, so at least the e-mail address is stored for easy access later. The iPhone also notes who you respond to and adds them to the quick-selection list of addressees it displays as you begin tapping a name, even if they’re not in the address book. The BlackBerry only displays names in the address book. Both the BlackBerry and iPhone are annoying when it comes to handling calendar invites, but the iPhone is worse. If you get a calendar invitation as an e-mail attachment on an iPhone, you can’t accept it from your e-mail; the iPhone can only sync calendars already handled by Exchange. Plus, you can’t move an event from one iPhone calendar to another, such as from your personal calendar to your work one. That’s just dumb. iPhone OS 3.0 does now let you send invitations from your mobile calendar, as well as respond to invites (rather than merely accept them), putting it on par with the BlackBerry in that regard. Another area where the BlackBerry hung me up: I could accept some invites sent to me, but not others. The BlackBerry would often tell me that I could not accept invites because I was the meeting organizer — even though I was not. The BlackBerry also overloads you with calendar item details when you open an invite — it’s overwhelming and not necessary. The iPhone clearly has some issues, but for such a mature platform, the BlackBerry is surprisingly mediocre when it comes to e-mail. The iPhone makes it easier to read, send, and organize e-mails and contacts, but it falls short when it comes to zipped attachments. Both disappoint for calendar management. RIM has made a lot of noise about its BlackBerry App World store, and Apple recently celebrated its 1 billionth App Store download. Make no mistake: The selection of BlackBerry apps is not only limited, but the apps themselves are typically pale, pathetic imitations of iPhone apps. (Compare the New York Times or Salesforce.com on the two devices, for example.) And downloading an app to the BlackBerry usually means wading through several pages and prompts. I much prefer the iPhone’s simple, fast approach to downloads. Like much of the iPhone UI, the App Store recognizes that you’re using a mobile device and that six-screen legal agreements and endless “Are you sure” confirmations are not mobile-friendly. If you download an iPhone app by accident, deleting it takes a couple seconds—and the whole download-install-remove process takes less time than just starting a BlackBerry App World download. The UI for managing apps on the BlackBerry is pathetic. There are at least four places that apps can reside on the device, so finding them is an unwelcome Easter egg hunt. (You can move some of them around to consolidate the mess.) On an iPhone, they’re easily and consistently accessible, and infinitely easier to organize than on the BlackBerry. You can download “themes” for the BlackBerry that change how apps are organized, including some that unify them into a common location—these themes are third-party add-ons, not something the BlackBerry provides itself. But the BlackBerry does let you create your own folders, so you can manage your apps however you want; the iPhone only lets you rearrange your apps, not organized them in folders.